This hack does not add an icon to your SpringBoard or any settings in the stock Settings application. It is automatically activated as soon as it is installed in Cydia. 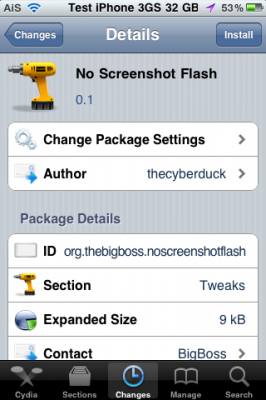 To remove the hack, you would need to uninstall it in Cydia or use the Mobile Substrate Addons option in SBSettings. Appreciation for this infmoratoin is over 9000-thank you!